What should I be considering when selecting a type of film to take with me/ that would be best suited to photographing in India? While I've never been to India, I've travelled in other countries of Southeast Asia. These are countries where you see vibrant colours everywhere. If it were I, I would shoot a reversal film because of the gorgeous results you get with such vibrant scenes. My preference is Fujifilm Provia, but many people rave about Velvia. If you can, try to shoot a test roll before you go. If you're just going to be away for 4 weeks, you don't need to be overly concerned about keeping the film cold. Though if you have a fridge in your hotel room, it wouldn't do any harm to keep it in there. Don't subject the film to conditions where condensation could form on the film, e.g. allow the film to "acclimatise" when moving from cool to hot environments, and keep it in ziplock bags or something to protect from condensation forming. 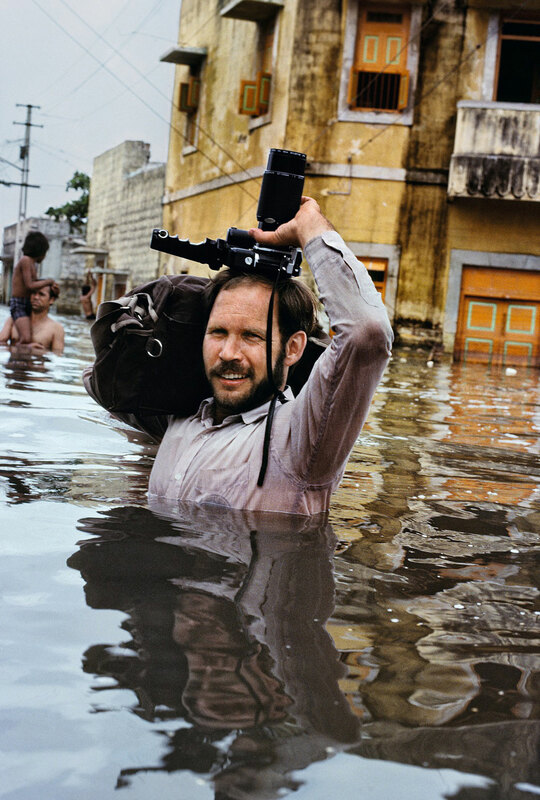 Obviously if you are going to be there during monsoon season, keep your film and camera dry. Take a look at How do I prepare frozen/refrigerated film for use? Some people get really paranoid about airport x-ray scanning, but there's no need. Just ensure that you keep your film in your hand luggage. Checked luggage does indeed get subjected to stronger x-ray scanning. There was a test performed by the French civil aviation authority in 2010 and it showed that ISO 400 film can withstand 12-24 passes through hand luggage x-ray scanning, and ISO 100 film can withstand more than 24 passes. I'll buck the trend and say "whatever film you normally use". The last thing you want to be doing on a trip like this is experimenting. Also, if you do choose one of the contrasted/more saturated films, your skin tones will suffer. So think about priorities. Velvia is a bit more saturated than Provia, both are excellent films. Pick your poison, they’ll both do the job. Grab a higher ISO color neg film. I’m fond of Portra 400, personally. This will get you by if you need the speed and still want to shoot color. And keep a few rolls of black and white handy in case you find yourself shooting in really, really dim light. Get something you like that you can push. Delta3200 is common because you can shoot it from 800 through 12,800 (I wasn’t happy going that high, but hey, it is possible). HP5 is good at box (400) and does 800 pretty well, but I’ve never been happy going higher. I’d personally add SFX200 to the bag, but that’s simply because I just really like it with a deep red filter. Not the answer you're looking for? Browse other questions tagged equipment-recommendation film travel 35mm or ask your own question. How do I prepare frozen/refrigerated film for use? Will my Ricoh GR1 be safe in tough weather for mountaineering photography? I need some help buying a prime lens on a nikon D7100, 35mm or 50mm? How can I best take photographs of a computer screen with a film camera?